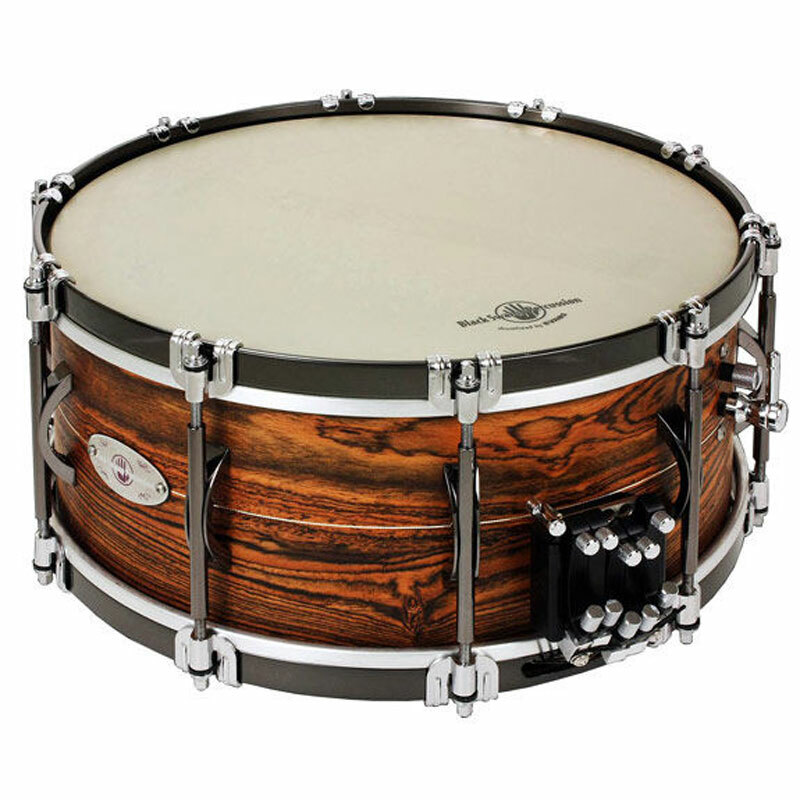 Black Swamp's 6.5" x 14" 20th Anniversary Multisonic Snare Drum features a solid, dense Bocote hardwood shell that gives it a remarkably earthy, deep character - not to mention that it looks absolutely gorgeous. 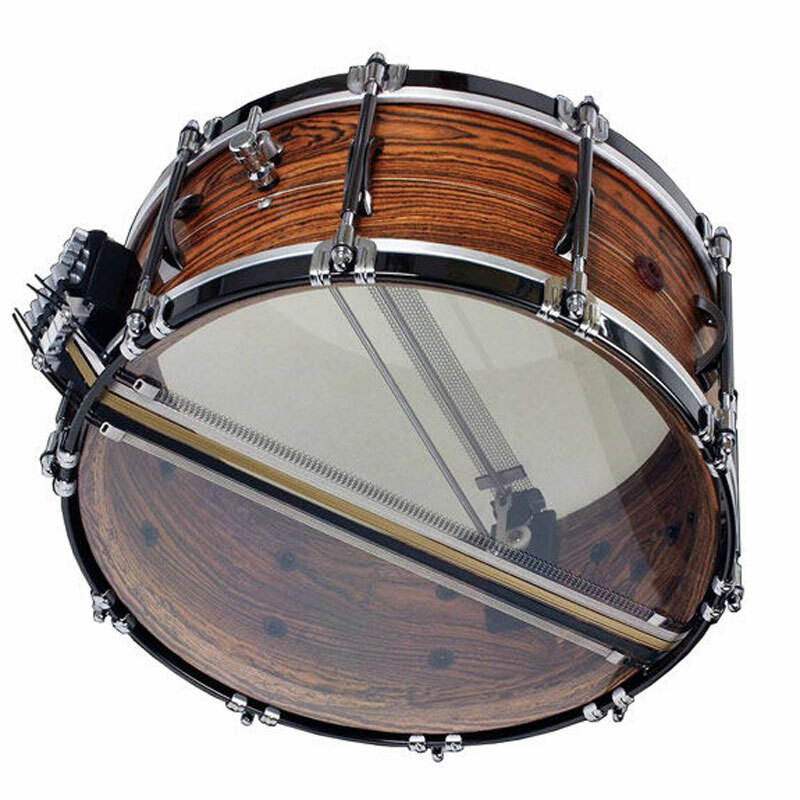 It's important to consider the natural depth of tone when choosing the physical depth of the drum. This is the first drum to be fitted with the Infiniti top side snare system that provides an insane amount of articulation at every dynamic level. Machined with modern CNC tech, the Infiniti System can be adjusted for lateral and vertical tension to give you greater control than similar systems of the past. Gold Coated Cable - The closest to traditional gut snares, these wires are thick and respond best at high volume levels with a dry, throaty tone. Great for aggressive playing (Shostakovich comes to mind). Blue Coated Cable - the little brother of Gold Coated, these cables are a little thinner to better respond at medium volume levels with a dry articulate tone. These cables are perfect as a go-to choice for middle-of-the-road playing. Curly Wire - typically known as Snappy Snares, these curled wires provide a little bite to the overall sound of the drum at softer volume levels, giving you a fifth sound option. To add to the sheer sexiness of this drum, Black Swamp has fitted the outside with blank nickel-plated BSP Arch Lugs and straight hoops, ascended with chrome claw hooks. There's also a sterling silver-plated micro inlay around the equator of the shell. The 6.5" is the deepest of the three available sizes, giving you an immense amount of raw dynamic power and a mind-bogglingly low, rich tone. 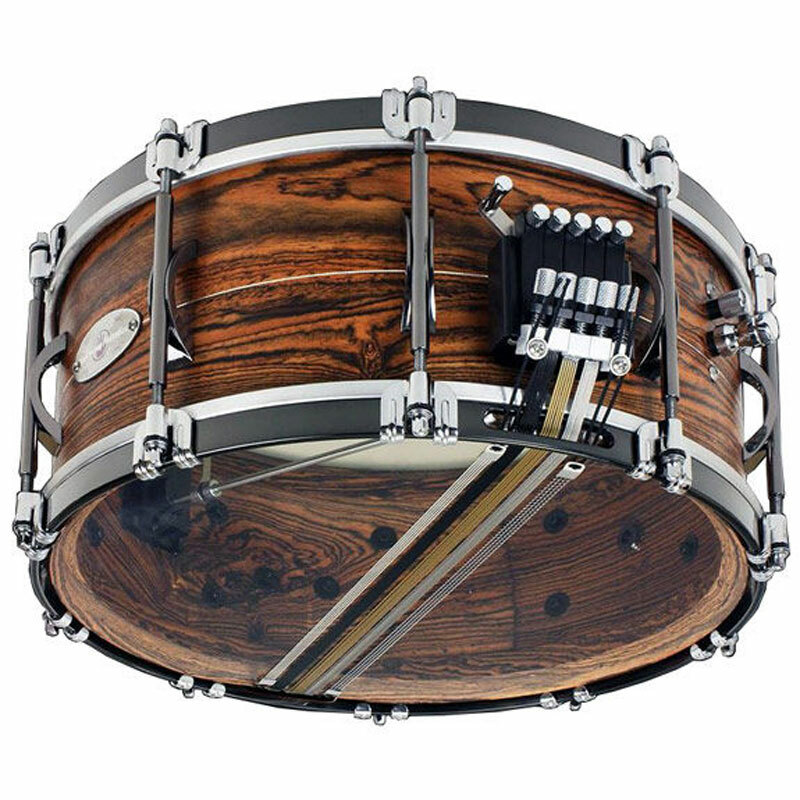 One of only 20 drums available in the world, this snare comes with a padded case, certificate of authenticity, and an extra plate hand-engraved by Black Swamp Percussion owner Eric Sooy.